Developmental milestones are skills that children acquire within certain time frames. During the first few years of your child’s life they will grow at a phenomenal speed. One day you will be bringing your baby home from the hospital and before you know it, they will be rolling over, crawling and even walking! These are called developmental milestones. As a parent, it is important to understand how your child is progressing and how they should continue to progress. Children will develop from one milestone to another in a sequential fashion. For example, they typically learn how to crawl and put themselves in a standing position before being able to walk. Children grow and develop very quickly and the more you can understand their progress, the better prepared you will be to recognize if there are any reasons for concern in the progress of their development. Occupational therapists focus on the fine motor skills. Fine motor skills are small movements of the hands, wrists, fingers, feet, toes, lips and tongue. Below, you will find an easy to understand chart that we have developed for you to use to monitor your child’s fine motor developmental milestones. Please review these and contact us with any questions or concerns that you may have with regard to your child’s development. 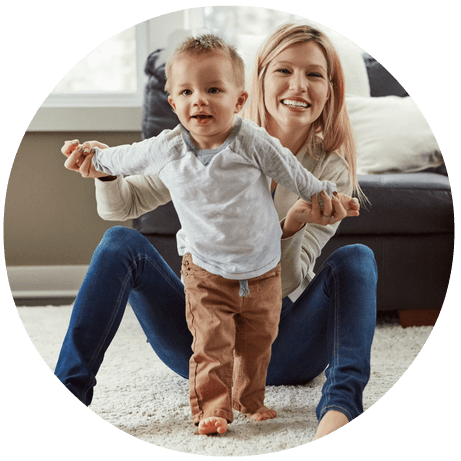 We work with families throughout the Raleigh, Durham and Chapel Hill NC areas.